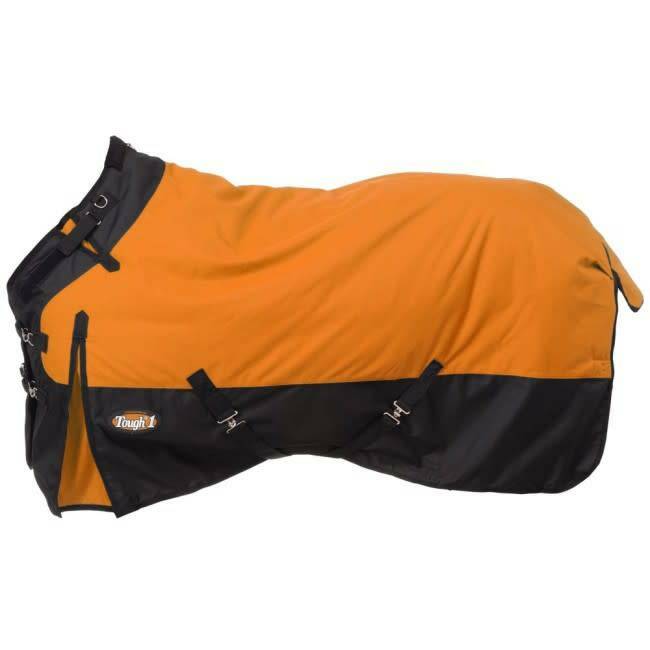 Tough-1 1200D Waterproof Poly Snuggit Turnout Blanket. Made of 1200 denier waterproof ripstop poly outer shell with 210 lining, 200 grams of poly fill. 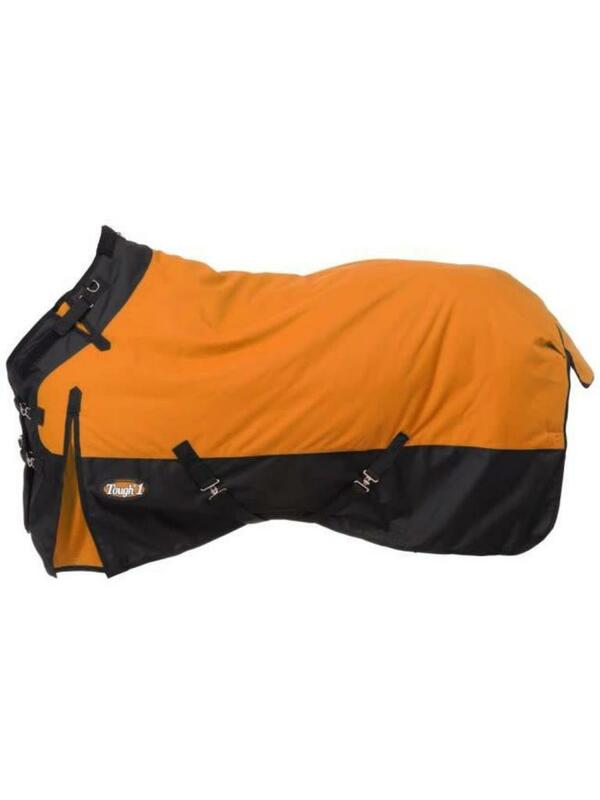 Adjustable Snuggit neck allows you to customize the fit of this blanket to your horse. Fleece wither protection. Crossed surcingles with elastic ends. Adjustable leg straps with elastic ends. Adjustable double buckle front with snap closure. Shoulder gussets allow freedom of movement.